Hello my lovelies! 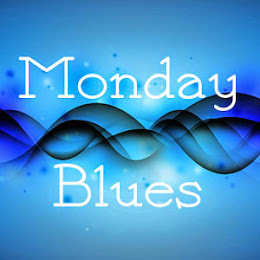 Sorry for the lack of posts this week but the truth is I just couldn't bring myself to sit down and write one of these. I have plenty of manicures to show you but I guess I'm all worked up about spring being here and all. It's hard for me to focus but I'm gonna try to do it today because I have a spectacular polish to show you. I know I say this often, yet this time I really mean it. Hopefully you will understand me when you look at these pictures. You all know that I'm a big fan of KBShimmer polishes. I love all their glitters and just can't get enough. 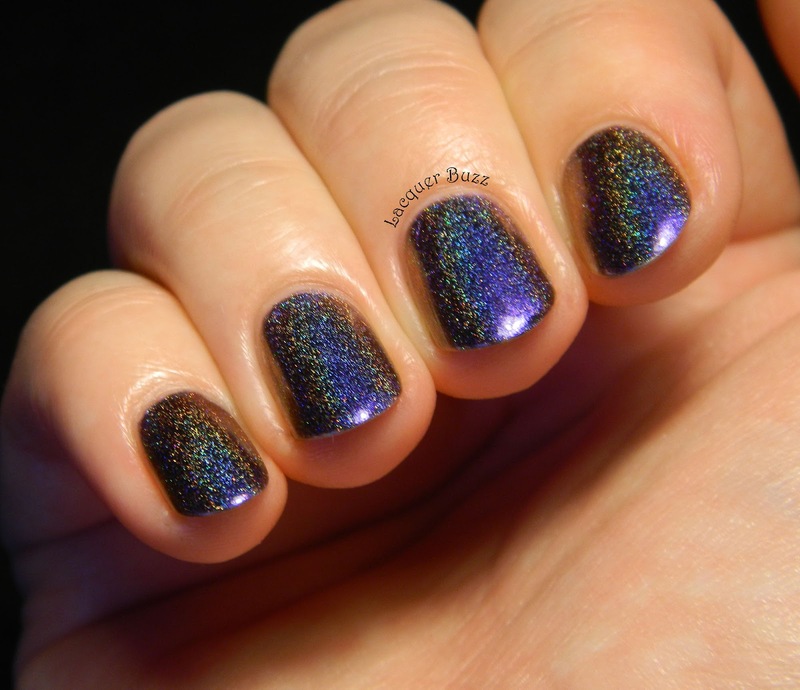 But this winter they really outdid themselves by bringing out some multichrome holographic polishes. I chose Myth You Lots, which shifts from blue to purple to red and brown. 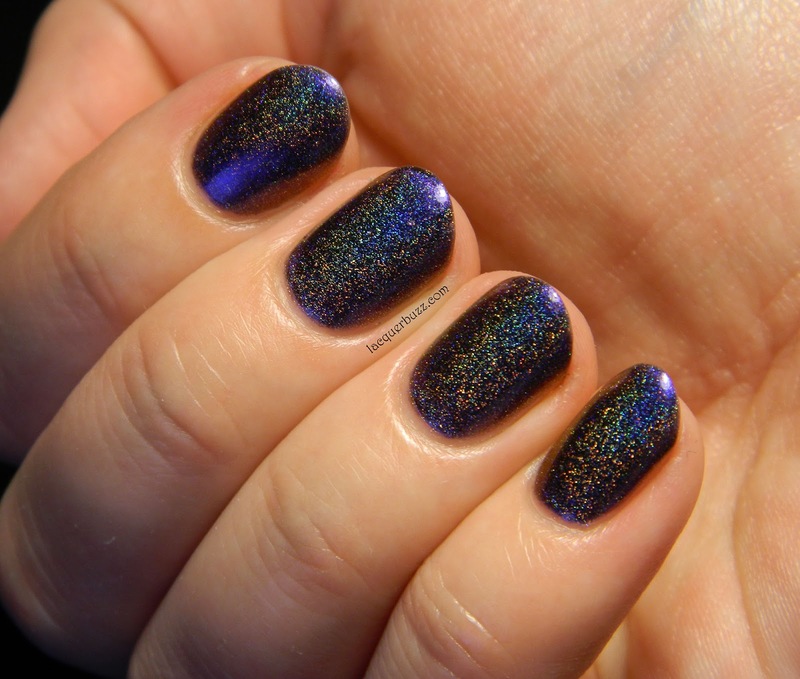 Plus there's a strong linear holo effect. This polish is just hard to imagine! 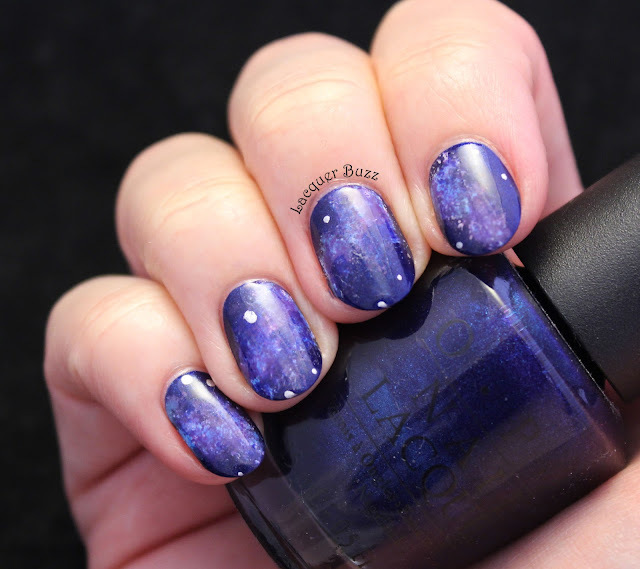 I took a lot more pictures than I normally do for this post because there's so much to discover in this polish. If you follow me on Instagram you might have seen a little video I posted where I show how the polish in the bottle shifts in the sun. Unfortunately there was no sun back when I wore it so all pictures are in artificial light. 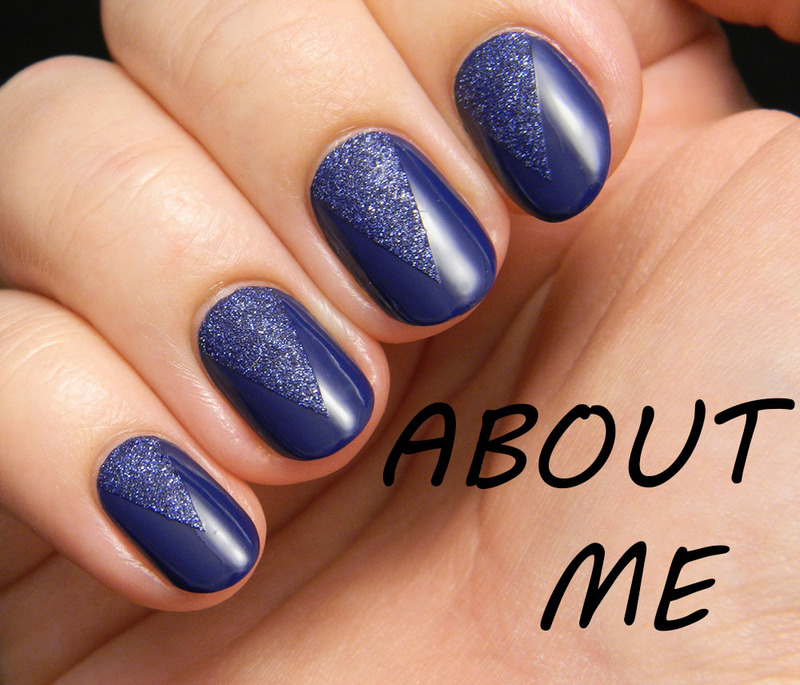 The formula is lovely and you will need 3 coats to achieve a perfect look. I also added some top coat to make it nice and shiny. 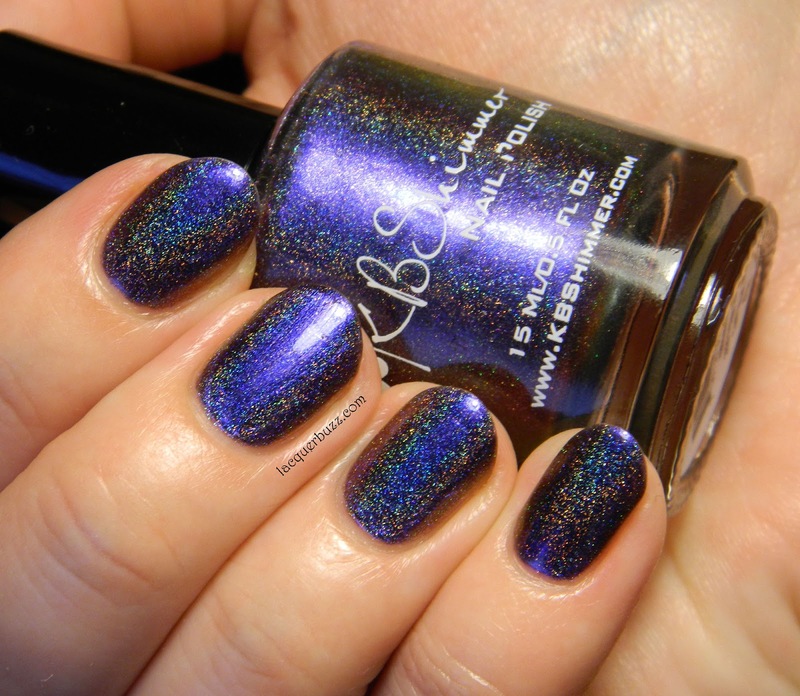 Just look at that gorgeous holo! 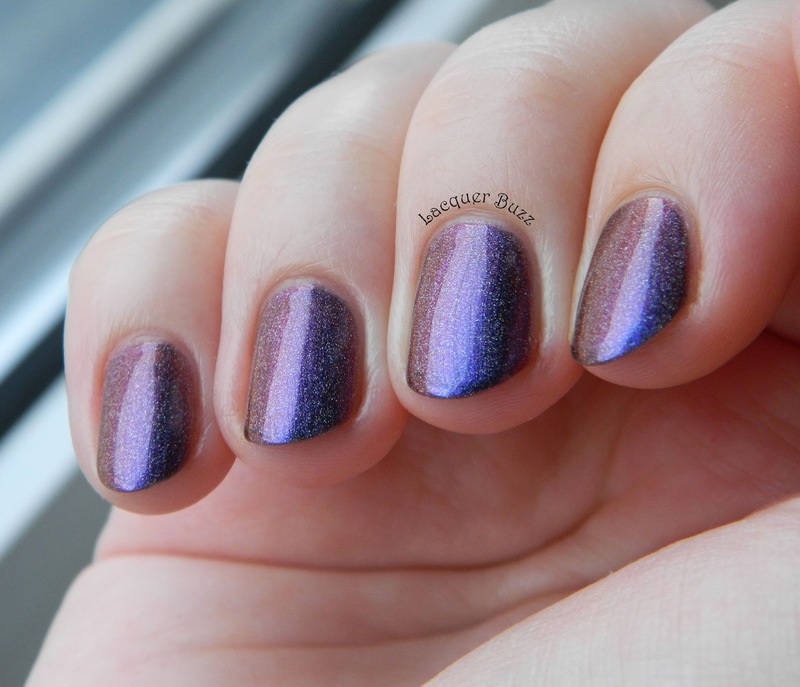 I also noticed that the duochrome effect is more visible in low lighting when the holo is less evident. Here's a shade photo that gives you an idea o how the polish looks when it's not hit by direct light. 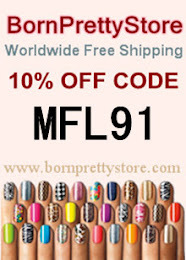 I hope my post has convinced you that this polish is a must have. And if not please keep in mind that it looks a thousand times better in real life. I've gotten lots of compliments back when I wore it. It's just amazing! Wow it is really pretty! 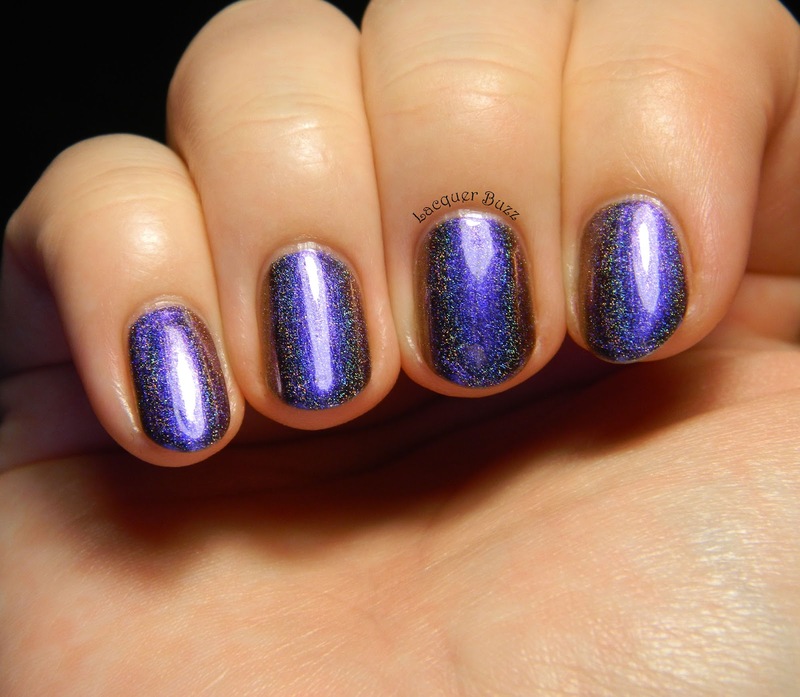 Duochrome and holo in one polish! Spectacular indeed!!! Intodeuna ne prezinti oje super speciale! Multumesc! Daca vrei s-o incerci sa-mi spui numai. Iti sta la dispozitie. Fac tot posibilul haha. Multumesc!